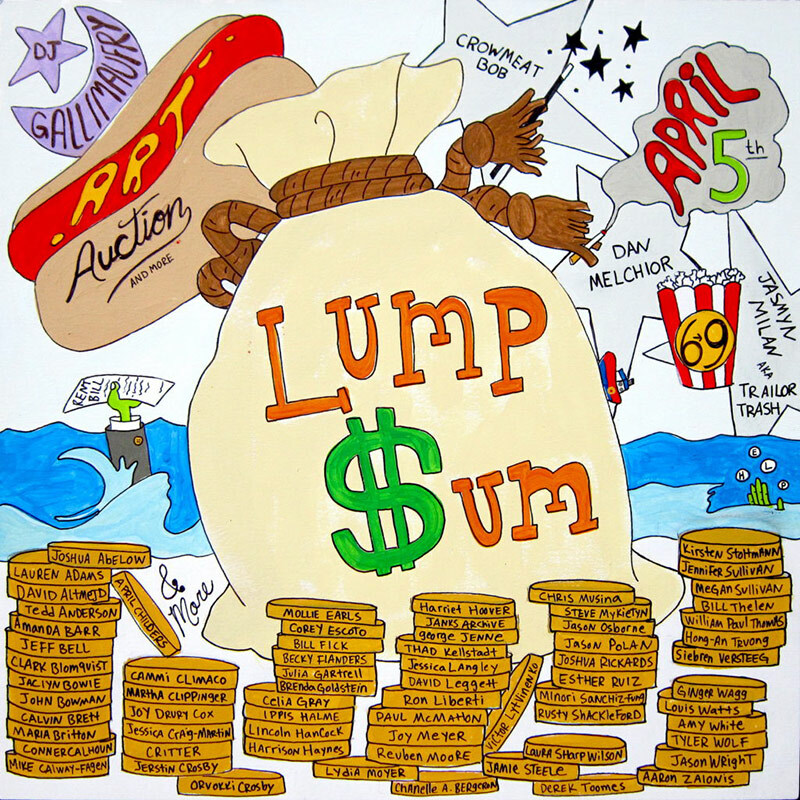 Lump’s first fundraising benefit, titled LUMP SUM, will occur Friday, April 5, from 6-9. The benefit includes a silent auction of over 72 original artworks, performances by Crowmeat Bob, Dan Melchior, and Jasmyn Milan, a memory capturing installation by Mollie Earls. Moon By Moon Apothecary (Chanelle A. Bergeron) will be providing herbal tonics and elixirs. The first issue of the Blount Force Magazine will be released as well! All this while DJ Gallimaufry helps guide us through the evening’s events.